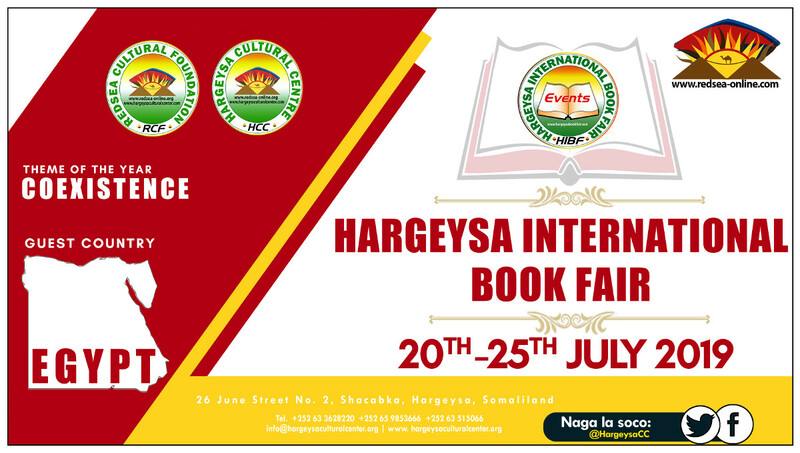 On its 12th anniversary, the Hargeysa International Book Fair (HIBF) has adopted the theme of 'Coexistence' to be central to the events of this year’s Book Fair programme. Throughout the annals of history, all the conflicts for which humanity has paid in millions of human lives and immeasurable destruction of properties have been based on suspicion and hostility engendered by differences in creed and culture. Sadly enough, no continent in our planet today seems to be totally free from the scourge of political and ideological conflict. Albeit in varying degrees, the plight of war still remains a major concern of all countries in our boastful era of unimagined advancement in science and technology. That is why we zealously hold the principle of Peaceful Coexistence as the most cherished and practical idea for bringing together peoples and nations at variance in their political ideologies and national traditions to live in lasting peace and harmony. The same applies within intrastate and interstate social conflicts. The choice of peaceful coexistence as our theme of the year has not come about casually at all. It has always been our firm belief, in the Redsea Cultural Foundation, that the advocacy and upholding of this cardinal principle is the real test of our claim to genuine human civilisation. So, let us pool our efforts together in order to make this claim come true.